I love this cover. It is so creepy looking that it draws me in begging me to read. I love creepy ghost stories, and this is a Halloween tale I'll never forget. And I'm sure Olivia won't either. More of my review of this story at the end. Today I have Lynne Murray on my blog. 1. Tell us about your book and how the story came to be. The short story seemed to come out of nowhere. I just started hearing the beginning of it in my head, grabbed a notebook and started writing. It came pretty much in one felled swoop. The back cover blurb probably best describes what it’s about. “The path appeared to be darker than Olivia had imagined, especially on this full moon night. There seemed to be a lot of eerie shadows, and the occasional hoot of an owl or cry of some other wild creature coming from the woods. Olivia is an inquisitive, headstrong teenager, who has a lot of leadership skills and likes being the centre of attention. 3. Do you have a method for creating your characters, their names and what do you think makes them believable? The characters sort of present themselves, almost like they are real people and I am just taking notes. I like to pick names that describe their character. I also choose ones that I think are interesting or, in the case or Artesia, Olivia’s best friend, pretty much made up. I think believability comes through when we immerse ourselves into the character and really see things through their eyes. I am lucky in that I taught kids for almost thirty years and so I can see lots of different young people whom I have known who would fit the roles of these individuals. 4. Do your characters follow your plot path or do they take on a life of their own? Do you keep them in check? 5. Have you ever suffered from writer’s block? If so, how did you over come it? Yes, that happens all the time, so I have loads of stories I am working on and I just set the piece aside and let my brain sort it out without me applying any attention to it, while I work on another project. Usually after a week or two, when I go back and reread the story, the next part will jump up and start running. I am a mystery fan, especially anything with Native Americans or archaeology, ancient Egypt or time travel. I also like to read biographies, poetry and teen books. I still read Nancy Drew books all the time and others from the same era, the Hardy Boys etc. 7. What do you like to do when you aren’t writing? I love nature and walking with my dog out in the forest. I also love taking long drives through the country, going to antique and flea markets, watching television and just zoning out. Oh, I love going to flea markets. 8. What’s next for your writing? Are you working on a new story? I am working on a series of short stories based on the characters from A Hallowe’en Tale, and their community, both past and present. I have the outline for five more and have started the second one. I am also working on a novella entitled Cyrus and The Birds about a fellow who is very special and has grown up in an abusive environment. It is a psychological-paranormal work. There are others in the non-fiction field plus two poetry collections. Oh, good more Halloween Tale. 9. What’s the best piece of writing advice you’ve received? Write everyday. My music composition teacher told me that forty years ago and it works for anything creative, really. 10. Where can readers find you and your books? 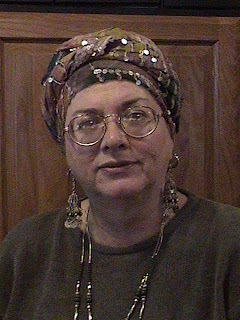 I have a website, facebook author page, and blog, plus I am also on twitter. 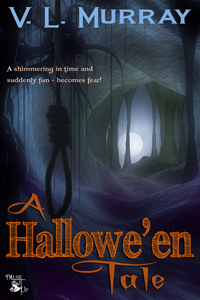 My latest is my short story A Hallowe’en Tale by V. L. Murray available from MuseItUp Publishing at http://tinyurl.com/crwkb8l , Amazon.ca at http://tinyurl.com/bvlh7wx , Amazon.com at http://tinyurl.com/chq5d59 , Kobo at http://tinyurl.com/cc39yuk , Barnes and Noble at http://tinyurl.com/bthxaxk . 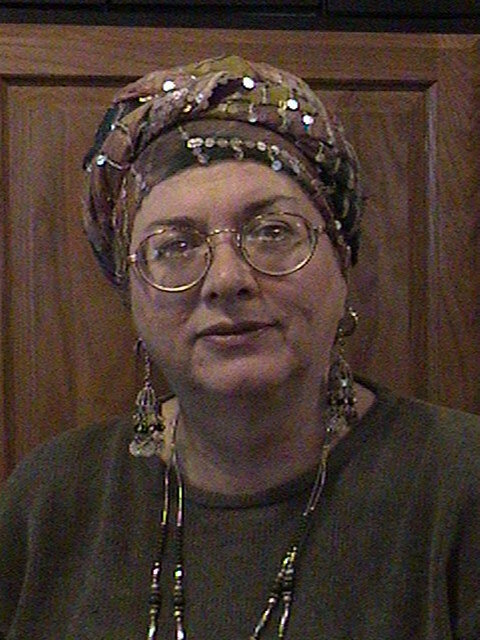 V. L. Murray is an author, poet, composer and editor. She lives in Surrey, British Columbia. Lynne has spent much of her life playing with music and interacting with the spoken and written word. She believes that form and punctuation are just other ways to make words sing. Lynne loves to write stories that intertwine the mystical and divine into everyday life and seeks to remind her readers that the other side is only a breath away. Thanks for having me here today, Kay. I have enjoyed spending some time with you. Thanks, Lynne, for being here. It was nice to get to know you better. And I look forward to reading more of your books. Now for my review of A Halloween Tale. I give this book a five star review. I loved it. That sounds like a good, scary story for kids!